Catalan separatist Marta Rovira, who fled Spain last month to escape charges over the region’s breakaway bid, said in an interview published Thursday she planned to settle in Switzerland for good. “This is a long-term decision,” Rovira told Swiss daily Le Temps in an interview published on its website. “I want to rebuild my life here with my family, and to place myself under the protection of Switzerland,” she said, adding though that, at this stage, she did not see the need to seek asylum. The interview, conducted in the Geneva offices of Rovira’s lawyer, confirmed reports that she had made her way to Switzerland after announcing in March she was taking “the road to exile”. Rovira, who is the deputy leader of the leftwing separatist ERC party, is one of seven pro-independence leaders who have fled abroad to avoid facing serious charges over their role in Catalonia’s independence push in October 2017. Catalonia’s pro-independence presidential candidate Jordi Sanchez also remains in jail, after Spain’s Supreme Court on Thursday rejected a request for him to be released and sworn in as regional head. “I came to Switzerland to protect myself against political persecution… If I were still in Spain, I would be behind bars right now,” she said. 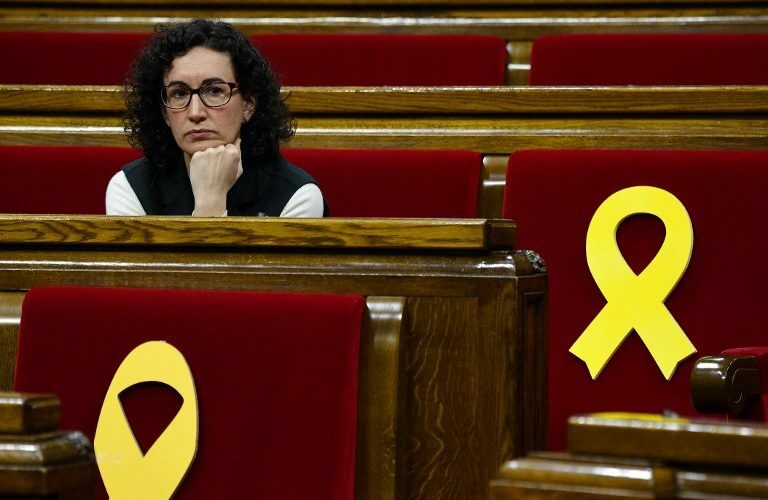 She pointed out that all of the pro-independence leaders who, like her, were summoned by the Supreme Court in Madrid on March 23rd, were now in jail. “I could not risk spending 20 to 30 years in prison for offences I have not committed, when my daughter is barely seven years old,” she said.